Inspired by the magic of the moon, our original design and statement crescent moon necklaces are mystical, magical and yet so simple and elegant. 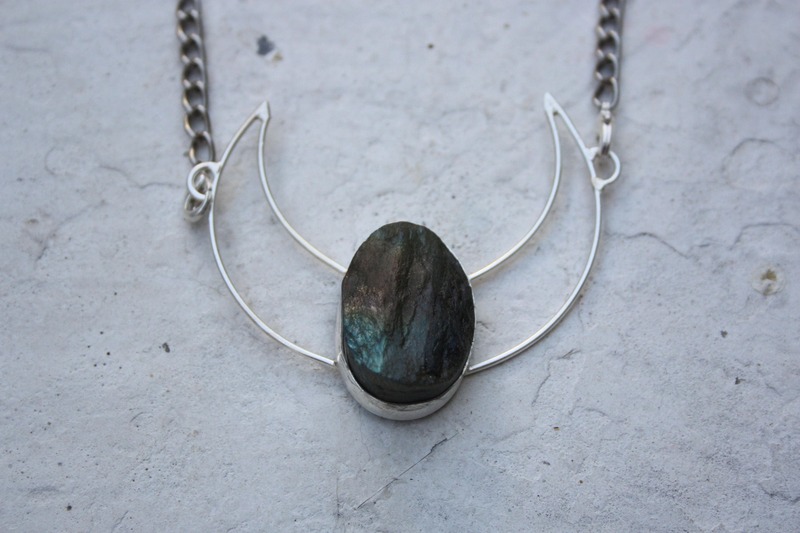 Handmade under the full moon in the Rajasthani Desert and using high quality raw labradorite crystal which glimmers and glistens when you wear it. 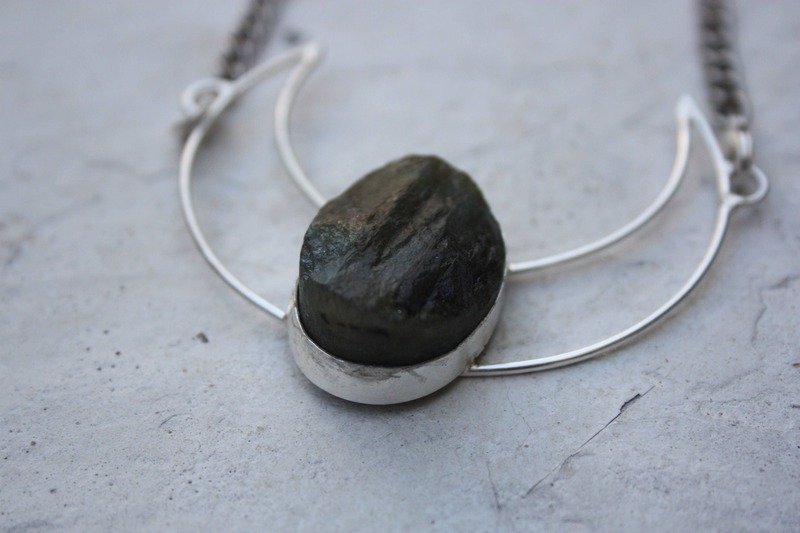 Raw crystals are more powerful than their polished cabochon counterparts as they hold their natural energies much more. 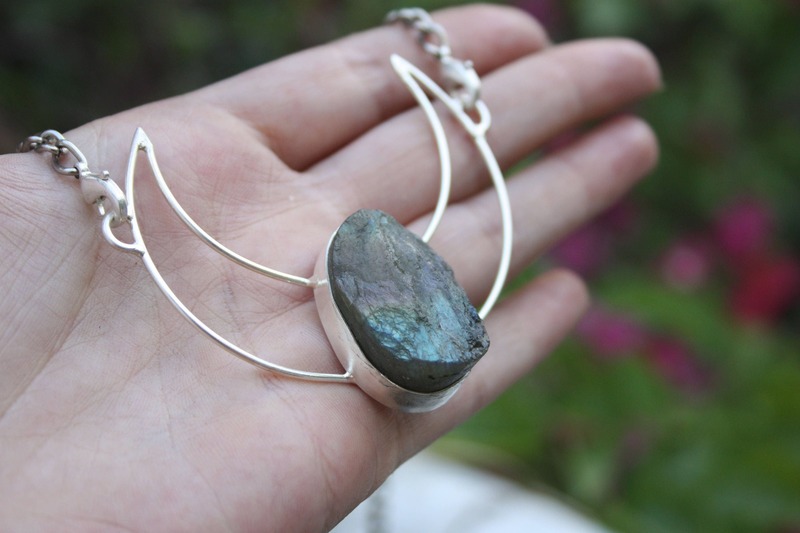 This raw Labradorite was incredibly hard to source and I don't know if we'll make any more of these. *Also Available in other crystals, please contact for custom order.